George Sisler played first base in the majors from 1915-1930. He played his final game on September 22, 1930. He was elected into the Baseball Hall of Fame in 1939. He died March 26, 1973. Despite his death, shortly after the turn of the century, he became a worse player. Actually, he was the same exact player, just valued far less. Advances in statistical analysis shifted the game away from he did well. Suddenly, on-base skill and power were far more important than empty batting averages. Further, new retroactive defensive metrics simply didn't support his stellar defensive reputation. I wonder if the game is now about to shift, in a subtler way, towards players with Tucker Barnhart's particular skill-set. Namely, top flight defensive skills behind the plate. Defensive metrics have lagged behind other metrics, especially true regarding catcher defense, but PitchFX is beginning to allow for more accurate quantification of the value of catcher defense. And, the impact appears to be far greater than previously believed. A number of different studies have been undertaken and the results all reveal a substantial, though varied, impact, including findings of contributions of .7 runs per 150 pitches, 6 wins per 120 games, and 2 wins per 120 games. Gaining 2 wins, conservatively, just from pitch framing? Whatever the true value, it's not insignificant. 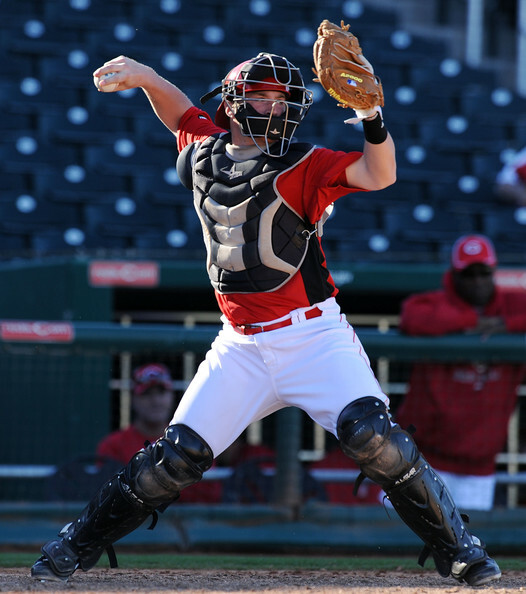 A catcher who can properly frame pitches can provide a significant competitive advantage over the competition. Obviously, that increases the value of those players. 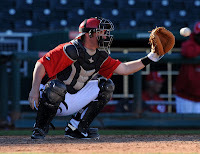 All of which leads us back to Tucker Barnhart, the most polished and skilled defensive catcher in the system. And, arguably one of the best in all of the minors. Barnhart is a cerebral player, even in high school he was charting pitches and doing advanced scouting on the competition during his days off. He also had the maturity necessary to bypass college and successfully step right into the professional ranks. Barnhart spit time between high-A Bakersfield and double-A Pensacola in 2012. For the Blaze, Barnhart hit .278/.371/.409/.780 with 12/1/4 2b/3b/HRs and a 45/29 K/BB ratio over 59 games and 198 ABs. He hit line drives at a 14% clip and posted an unsustainable .342 BABIP. He also posted the best walk rate of his career, walking 12.6% of the time. For the Blue Wahoos, Barnhart hit .200/.262/.292/.555 with 4/1/2 2b/3b/HRs and a 22/11 K/BB ratio over 41 games and 130 ABs. He again hit line drives at a 14% clip and posted a similarly unsustainable .226 BABIP. The slugging percentages are concerning, but Ryan Hanigan's career minor and major league slugging percentages are .371 and .360, respectively. So, the lack of power can certainly be overcome. In the final analysis, Barnhart simply wasn't ready, from an offensive standpoint, for double-A. The Reds were likely aware of that when promoting him, but felt he could handle the offensive struggles that would inevitably result. Prior to 2012, Barnhart had been moving steadily up the ladder, advancing only one level per season. He spent his age 18 season in the Gulf Coast rookie league, his age 19 season in the Pioneer League, and his age 20 season with low-A Dayton. 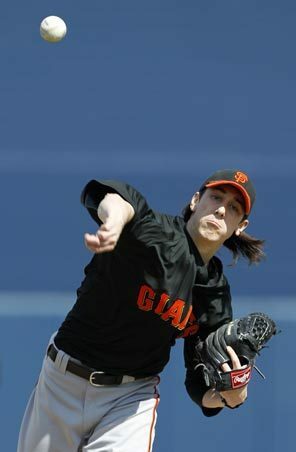 The 2012 season was the only time he received an in-season promotion. He'll likely get a return engagement at double-A to start out the 2013 season, which will provide an interesting data point to his offensive development. Barnhart is a switch-hitter. He's fundamentally sound from both sides of the plate. Unlike some switch-hitters, Barnhart's swing is similar from both sides of the plate, so one write-up can effectively cover both. At the plate, Barnhart starts with a wider than shoulder-width stance and a high back elbow (first set of photos). 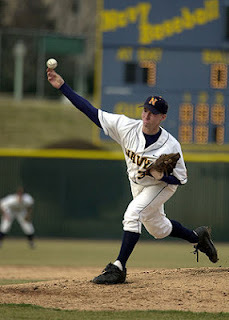 As the pitcher comes to the plate, Barnhart lifts his front leg off the ground, transferring the weight to the back leg, cocking the hips, and generating load for the swing before striding forward to meet the pitch (second set of photos). His stride is one piece, the proper length, and well-balanced. When his stride foot lands, he firms up the front side to allow for effective transfer of force to the pitch (third set of photos). He uses a short path to the ball and doesn't extend his arms too early. 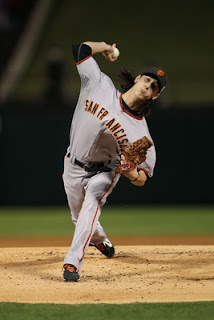 At the contact point, the rotation of the lower body drives him up onto the toe of his back foot, while he keeps his back elbow in close to his body (fourth set of photos). In the right-handed swing pictured below, he's reaching for a low and outside breaking ball, which causes his arms to extend farther out in front of the body, a weaker position, but that's not typical of his swing. He gets good extension and finishes with a one-handed follow-through. To date, he hits better from the left side, his natural side. In fact, his struggles from the right side have been so significant that some wonder whether he'll need to scuttle switch hitting entirely. To me, that seems premature, as hitters simply don't see many tough lefties until they reach the professional ranks, so a bit more experience might sufficiently improve his performance. Remarkably, in 38 ABs against double-A lefties, Barnhart struck out only 3 times, which makes his .184 batting average a bit more disconcerting. If he's making that much contact, but not getting hits, then he's either extremely unlucky or not driving the ball effectively. Even if he is forced to drop hitting from the right side, having a catcher who hits from the left side is almost as valuable as having a catcher who switch hits. It's the left side hitting that's fairly unique, giving his value a boost. Part of the problem for Barnhart is his size, as he only stands 5-10-ish (milb.com lists him at 5-10, Baseball America lists him at 5-8). To hit for significantly more power, he'd likely have to sacrifice in other areas. Given that his smaller size limits his maximum effective power production, to hit for more power he'd have to sell out more at the plate. Would sacrificing his contact rate for marginal gains in power production be worth it? Doubtful. I'd be more content to let him continue developing the Ryan Hanigan offensive profile. As it stands, Barnhart already fits that profile well. He has the ability to hit line drives to all fields and draw walks at a good clip. While his shorter stature is a drag on power production, it's a boon to his on-base ability, as his strike zone is smaller than it would be for taller hitters. Pitchers have less area to attack, Barnhart has less area to protect. There really aren't any red flags to Barnhart's swing mechanics. Any problems he may have at the plate as he climbs the ladder are likely to be the result of a shortage of tools or physicality, not mechanical flaws or a lack of baseball specific skills. Barnhart does a very good job getting the most out of what he has, the question on Barnhart is whether what he has will prove to be enough. 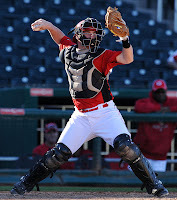 Barnhart stands out on defense, which isn't easy to do as a catcher, but he's fun to watch. He's impressive and much of it has to do with his footwork. Barnhart has very good agility and quick feet. 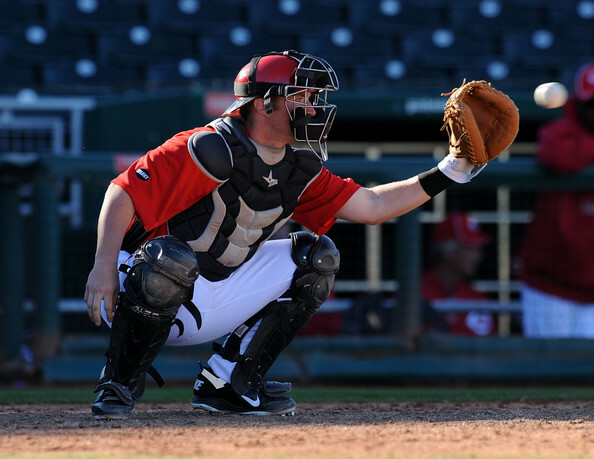 Footwork is an underrated attribute in a catcher, as it's utilized in numerous aspects of the game, including fielding the position, moving laterally to block pitches, and getting into proper position to throw out base-stealers. Barnhart utilizes his good footwork to help him get into proper throwing position quickly, which enables him to control the opposition's running game. He has a strong, accurate arm and a very quick release. In fact, Barnhart consistently posts "pop times" (basically, the time between the pitch hitting the catcher's glove until the catcher's throw hits the infielder's glove at 2nd base) of 1.8 seconds, which is very, very quick and helps explain how he threw out 45% of would be base-stealers in 2009, 51% in 2010, 47% in 2011, and 38% in 2012. Barnhart also does a nice job of blocking balls in the dirt, as he moves well laterally and positions his upper body properly, square to the pitch and with a forward lean, to both block the pitch and control any rebound by driving it down right in front of him. His quick feet mean he can consistently get in front of the pitch with his body, rather than having to reach for it with the glove. Barnhart is calm behind the plate and does a nice job of setting the target and receiving the pitch. His receiving skills are solid and he should have no trouble handling plus velocity or advanced breaking balls at the MLB level. Even though it's a quick look (it's hard to find video of catcher's on defense), but the footwork and strong, accurate arm are all evident. Overall, Barnhart is very polished and highly skilled on defense. He has the rare type of defensive ability that enables him to effectively control the game. That's especially true when paired with his emerging leadership skills and his desire to perfect the nuances of the position. When I watched him play, I wasn't focused on his pitch-framing ability, but given how calm and controlled he is behind the plate and how much he focuses on excelling at all aspects of position, he seems a good bet to be an above average pitch-framer. Barnhart's value is driven by his defense. However, his switch-hitting ability coupled with his strong on-base skill means that he could also develop into a respectable offensive contributor as well. The obvious comparable is Ryan Hanigan, who was a college player who joined the professional ranks at roughly the same age Barnhart is now. So, Barnhart has the age advantage and likely a quicker development path (though Hanigan moved at glacial pace through the minors), but time will tell whether Barnhart can develop a comparable offensive game to that of Ryan Hanigan. That's the question that will determine whether Barnhart is a good MLB back-up catcher or something more. Whether it turns out to be the former or the latter, Barnhart is one of the safest bets in the system to reach the majors, as there's always room for one more top-notch defensive catcher. While Barnhart is always going to be a defense-first catcher, the possible shift in our understanding of the true value of such players may make him a tick more valuable than we previously realized. By the time Barnhart is ready for the majors, we may all be singing the praises of defensive catchers and their ability to elevate the performance of all pitchers on a pitching staff. For me, there really aren't any red flags to Barnhart's game. His various mechanics on both sides of the ball are fundamentally sound at worst and tremendous at best. His baseball specific skills, including pitch recognition and plate discipline, are refined and his character, work ethic, and makeup are all plus. So, unlike most prospects, the question with Barnhart isn't whether he'll be able to eliminate existing flaws in his game to raise his performance level, but rather whether his physical gifts are enough to give him the ceiling of MLB starting catcher. If his bat continues to develop or the valuation of his skills shifts in his favor, then he could emerge as a starter at the MLB level. As it stands, his blend of plus defense and on-base driven offensive profile land him at #13 on the list.